Price listed is for half an ounce of beads. 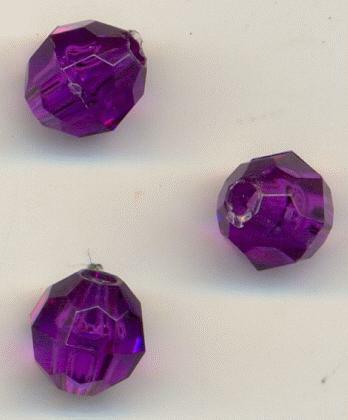 These are approximately 6mm purple faceted acrylic beads. The holes measure about 0.86mm. There are approximately 115 beads per half ounce.